Deluxe double vinyl LP pressing includes bonus LP of previously unreleased studio recordings. 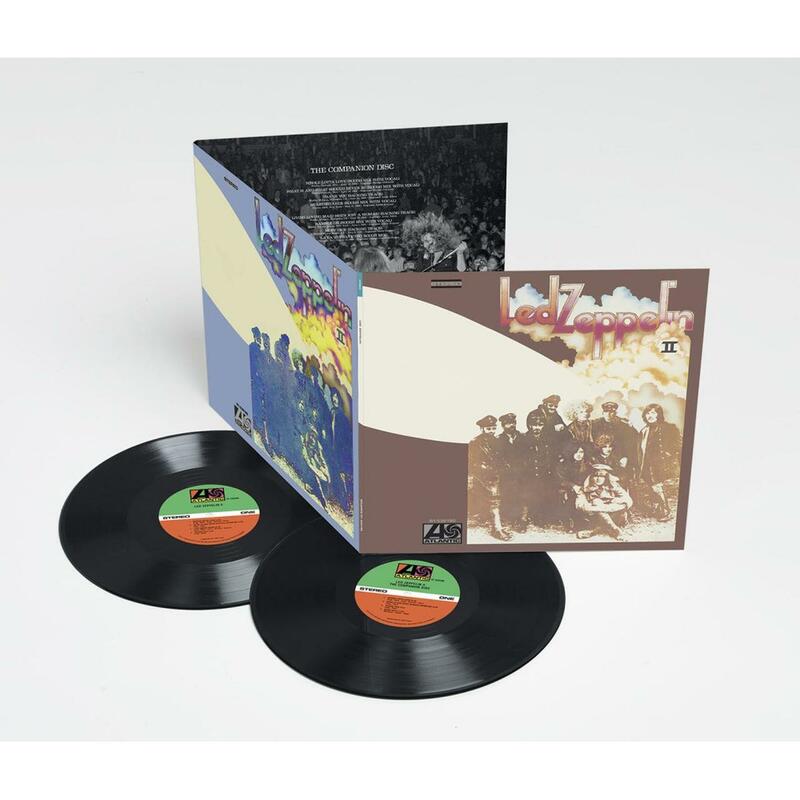 Digitally remastered edition of the Hard Rock quartet's 1969 sophomore album housed in a gatefold sleeve with eight page booklet. Led Zeppelin were one of the most innovative and successful groups in modern music. The band has sold more than 300 million albums worldwide. Led Zeppelin continues to be honored for it's pivotal role in music history. The band was inducted into the Rock & Roll Hall of Fame in 1995, received a Grammy Lifetime Achievement Award in 2005, and a year later was awarded with the Polar Music Prize in Stockholm. 180-Gram Repressing & Limited Edition!